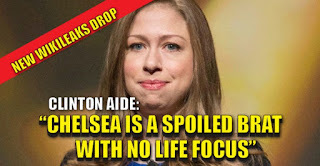 Is Chelsea Clinton a spoiled brat? 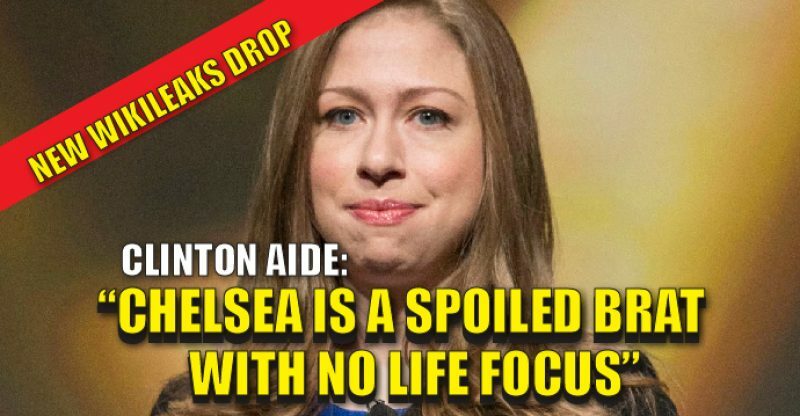 She makes an $800K per year salary and lives a life of luxury and privilege, but is struggling to find "focus" in her life. Fox News quotes WikiLeaks and concludes with this: Band forwarded the message to Podesta. Maybe she needs to sit down with Web Hubble and ask him for fatherly advice? It might help her through her personal crisis. and Hillary Clinton - can they be stopped? Please take sixteen and a half minutes to watch this if you haven't already. I realize that this is up on several blogs and because of that, I'd normally shy away from posting this video. In this case, it's significant enough that the story needs to be told. In a normal world, this would be breaking headline news nationally. But there is little about our world that can be considered "normal" with the media playing the role of the "Ministry of Truth". In their own words, Clinton Campaign and DNC operatives discuss how they incite violence at Trump Rallies. Cash buys agitators and the fake outrage that the media picks up on and puts out as real. The undercover video explains how it was and is done. 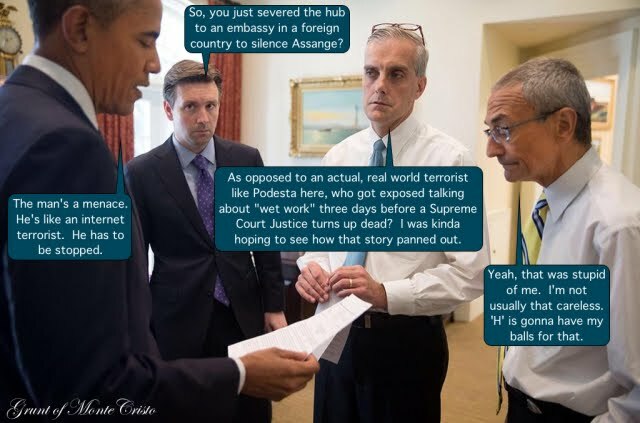 Don't expect to see this headlined on the evening news because this is how the sausage is made and how events are staged and created for the media to report as "news". You'll recall the demonstration against Trump in Chicago where protesters were paid, given a box lunch and bussed to the site of Trump's speech. Signs were handed out and they shouted, marched, and then, having earned their money, boarded the busses again. It was clear then that the anti-Trump movement was a staged event, and it was only the beginning of what has been a miserable campaign season. Voter fraud, felonious conduct, and a complicit mass media. This year (2016), the US Air Force has had 723 empty fighter pilot billets. The Air Force is smaller today than it was in 1947 when it was established, so that combined with a huge number of empty existing billets is alarming. 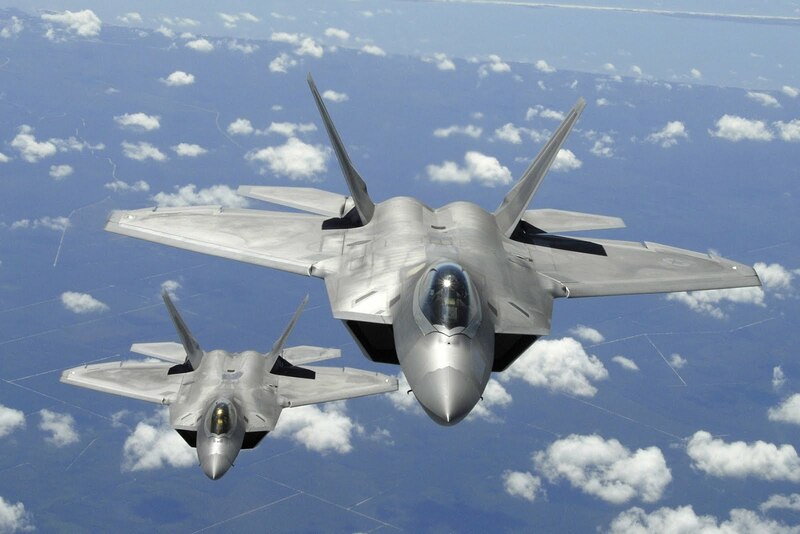 The Air Force’s growing shortage of fighter pilots is a “quiet crisis that will almost certainly get worse before it gets better,” the service’s new chief and its top civilian leader said in an opinion piece published Thursday. But how bad is it? According to data obtained by The Washington Post, the number of fighter pilots in the service has fallen five years straight, and plummeted in the last two despite increasing need. A decade of human resource malfeasance combined with implementation of 'racial theory' and intellectual cowardice has created a situation where quotas that include gender diversity (all 31 or so genders), racial balance and other harebrained schemes have manifest themselves in serious retention issues. Race and gender quotas when selecting people for key roles in the military create severe morale issues across the spectrum. A conspiracy theorist might think that it was done by design, but progs do things that they think make sense and it always looks - insane. The first new initiative mandates that at least one diverse candidate will have to be in the running for important developmental positions like aide-de camp, senior enlisted advisor, executive officer, and commanding officer, among other roles. This prompted some straight Air Force Officers to suggest that they were homosexuals/queer/male lesbians, etc. in order to qualify for advancement - a scandal that was quietly and ruthlessly crushed. Your career can end if you falsely represent yourself as queer for the purpose of career benefit. Development Teams (DTs) and Command Selection Boards (CSBs), both intimately involved in the selection process, must have a certain number of diverse candidates sitting on them. More dramatically, the CSB or DT president must “assess the diversity of both the selectees and those not selected for command following the board’s decision.” In other words, the heads of these boards will have to provide clear justification if they decide to make decisions that run-up against diversity goals. But even as diversity increases, there are still numerous key positions that don’t seem to attract diverse candidates, namely pilots, cyber operations, intelligence operations and space and missile operations, which is very upsetting to Air Force officials. In career fields where there isn’t a lot of diversity, commanders will have to come up with plans explaining why airmen in those positions are mostly white, male heterosexuals and how commanders can work towards changing that representation. I find it fascinating that now selection boards must intuit the sexual kinks of those being considered for positions of increasing responsibility to insure that the most extreme of peccadilloes are given preference. We live in an epoch where sexual freaks are being exalted. That's not a strange policy when you consider Barack and spouse and Hillary and partner. However if a senior white male officer has a heterosexual affair while married, he will lose his command status and will be cashiered from the service. The examples of that are legion. Exceptions are made when the people involved are homosexual, or are of a race other than white. This brings us to the next topic, where the battle has been extended to "unconscious bias", which states that if you are white and male, you're a bigot no matter what you do or say. Thus you are technically a sort of 'enemy' of the state when it comes to selection for advancement. Is anyone surprised that qualified Air Force personnel leave the service irrespective of a retention bonus structure? It's not just the US Air Force. All services are experiencing retention problems as political correctness limits career opportunities for those qualified candidates who do not have the appropriate sexual kinks or who have been born with the 'wrong skin color'. Cynics suggest that a war would lead to killing off of certain protected classes within the services who were selected for political reasons rather than because of qualifications. I served as an officer in the US Navy (NOBC 1130/1135) and was decorated for my service and for valor, in one case, in an obscure place, doing obscure, undisclosed things. In another situation recognized by an allied power for doing important things that they were not able to do. There was a pride that came with a job well done. Frankly, my friends, I can't imagine jumping into the cess pit that the services have become, simply because I would not fit in anymore - some would say that I'm "despicable and unredeemable". The Republican-controlled Congress watched it all happen and did nothing (spineless curs). I have not been a "Republican" for some time now, though that's how I vote out of expedient necessity.